It is a theatre tradition that harks back to vaudeville and travelling circus tents, that when ‘S*#t’ happens on stage or in the center ring; the director orders – “Send in the clowns”. 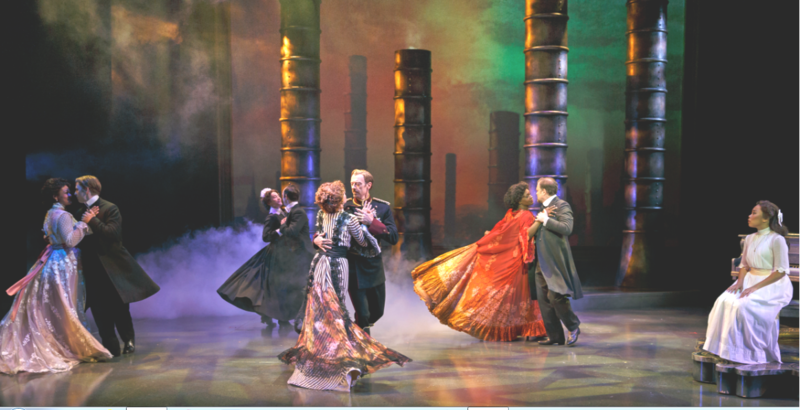 Stephen Sondheim’s period piece about love; liaisons; familial relationships and convoluted interaction is a perfect vehicle for Stratford’s extensive reservoir of turn-of-the century costumes. Wardrobe honcho Bradley Dalcourt holds nothing back. Same can’t be said for director Gary Griffin; one gets the feeling that he strictly adhered to the Broadway & Hollywood predecessor versions. 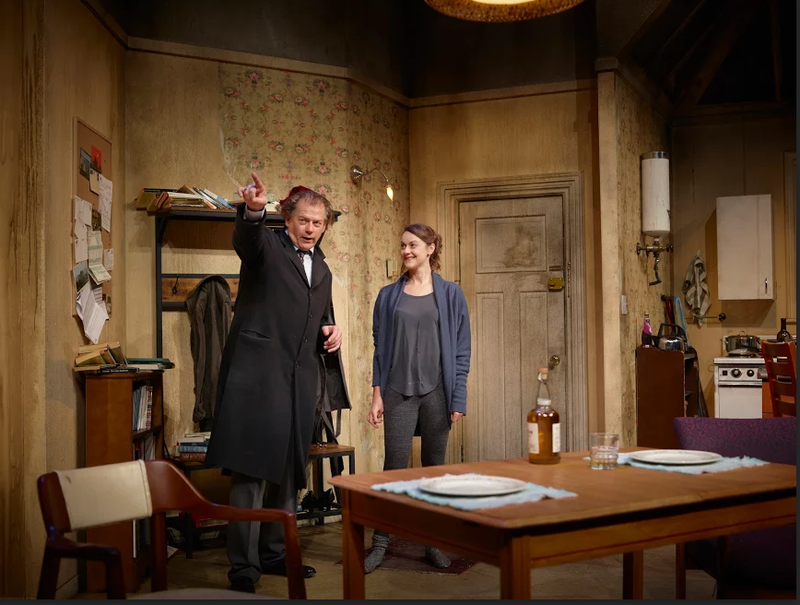 British playwright, David Hare’s powerful, evocative, award-winning drama, Skylight, at Can Stage’s Berkeley Theatre, is about bridging gaps – between the sexes, generations and economic groups. This is Hidden Cove Productions first theatrical production. Six months ago, my muse critiqued West End Studio Theatre’s staging of the 1988 A.R. Gurney drama LOVE LETTERS. This time the much-requested reprise will receive my own evaluation…also a positive assessment, but seen and observed from a different view point or mindset. 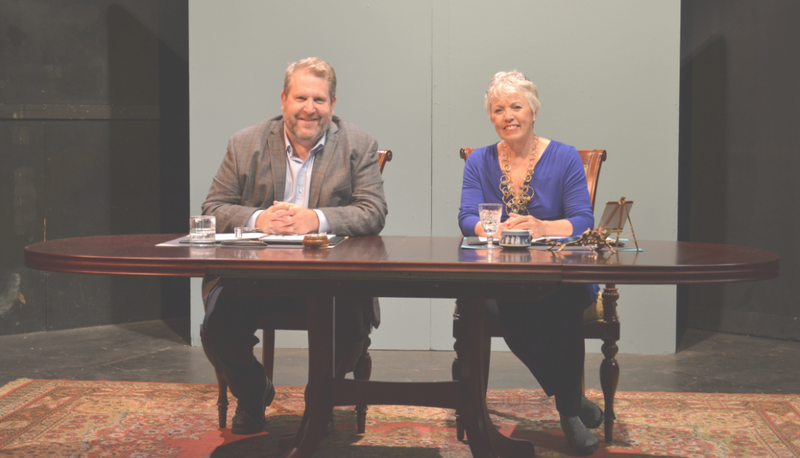 The play deals with two upper-class New England youngsters circa 1938 who iterate their relationship via handwritten correspondence, and continue to do so over the next half-century. 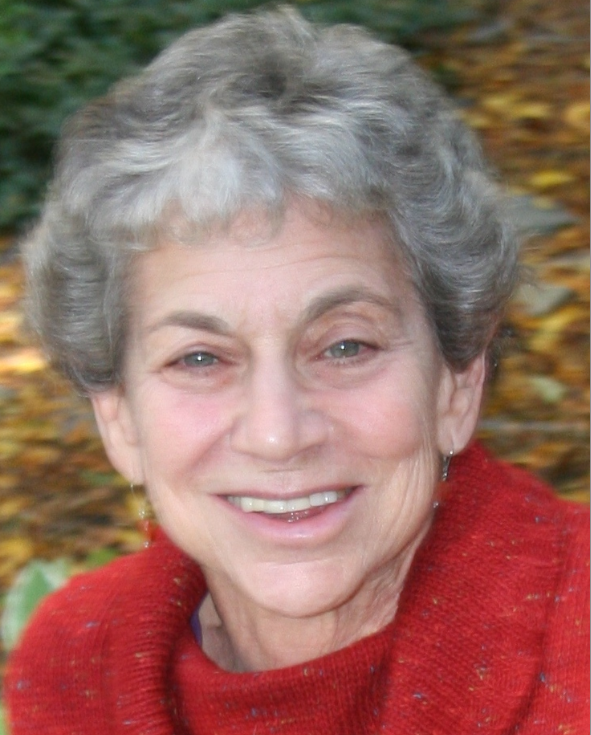 Through their epistles, the audience follows their intersecting lives. Most of us remember Alice’s words, “curiouser and curiouser”, as she explored the absurdities of Wonderland, sometimes funny; sometimes scary. 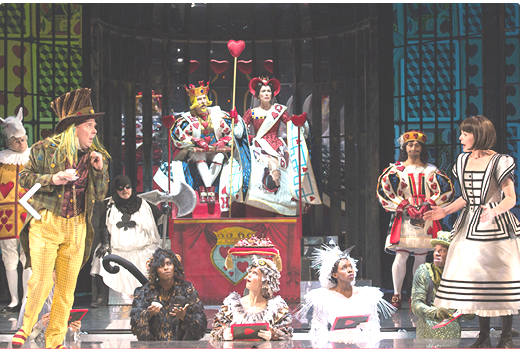 In this elaborate and truly extra-ordinary production of Alice in Wonderland at the Shaw Festival, Alice’s curiosity and courage help her overcome fear and confusion, as she journeys through a world of imagination, reflecting Victorian society & turning it upside-down. Oxford mathematics professor, Charles Dodgson, originally created the story in 1862, while taking the three Liddell sisters – including Alice – on a summer afternoon boat ride. Dodgson published the classic novel under the pen-name, Lewis Carroll, in 1865, and staged in 1886. 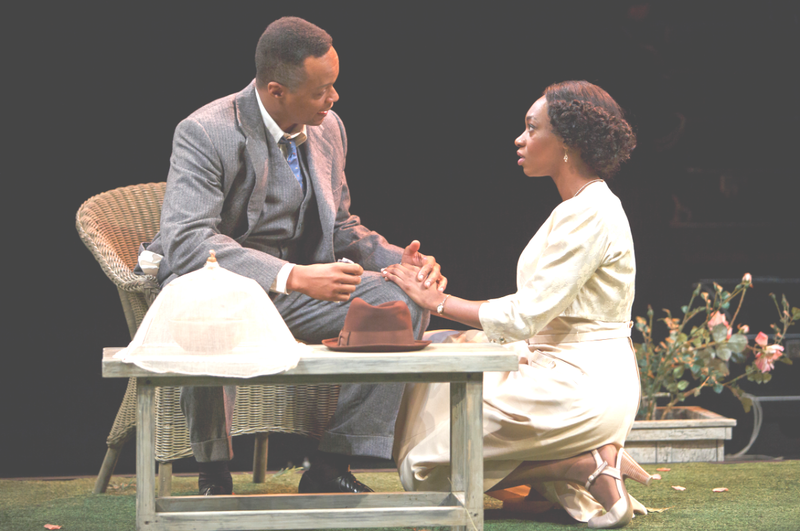 Stratford’s stunning production of Arthur Miller’s, All My Sons, takes the audience on a gut-wrenching, roller coaster in which the concepts of loyalty, patriotism and the American Dream are tested and tried. Recommendation- watch the show with seat belt fastened. There are twists and turns in every scene and something evil lurks beneath the surface. As the tree – so skillfully split by lightening in the first scene indicates – make the wrong move and you’re dead. 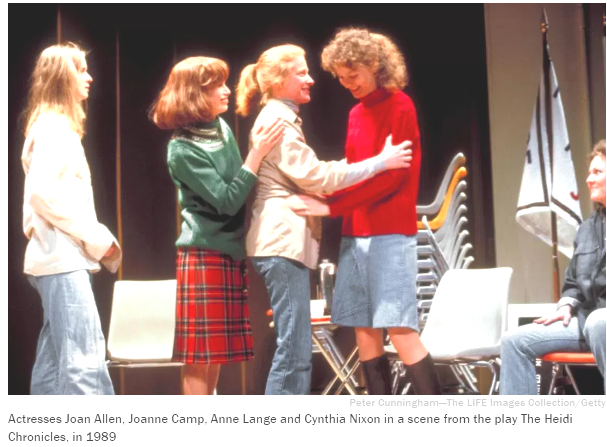 Wendy Wasserstein’s play, The Heidi Chronicles, captures the essence of Hillary Clinton’s generation of feminists. With its female encounter groups, strobe light dances, protest movements, power lunches and baby showers, the Soulpepper production, tracks the progress of the women’s movement from the 1960’s to 1990’s America, and provides glimpses of pivotal moments in a woman’s life—from her teens to her forties. In a compelling performance by Michelle Monteith, Heidi Holland, an art historian/professor, has made it her life’s mission to make sure women artists aren’t erased from the canon of prominent painters.